UCD: McGinley; Kelly (Coyne 72), Leahy, Douglas, O’Connor; McCabe (Kavangh 66), Creevy (Belhout 62); Benson, Walsh, Russell; Clarke Subs not used: O’Donnell, O’Halloran, Crowe, Burke. 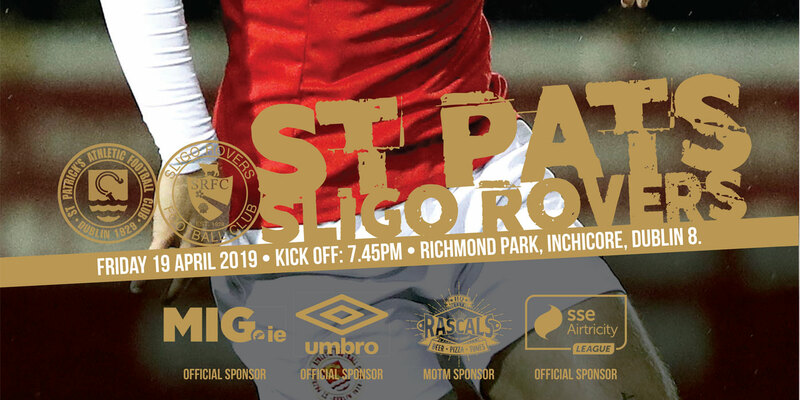 St. Patrick's Athletic: Clarke; O’Brien, Kenna (c), Browne, Bermingham; Byrne, Bolger (McFaul 80), Russell, Forrester, Kelly (Fitzgerald 85); Flood (Fagan 72). Subs not used: Gilmartin, Gannon, Hughes, Price. 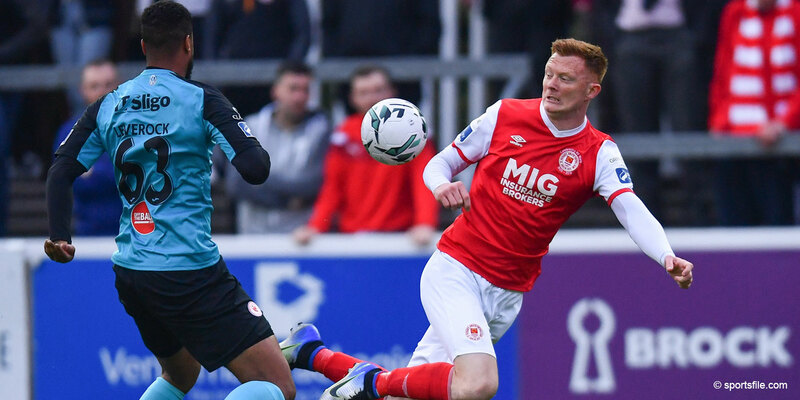 Liam Buckley's St. Patrick's Athletic side came back from a one goal deficit to claim a 3-1 win over UCD in the Belfield Bowl thanks to goals from Chris Forrester, Anto Flood and Jake Kelly. UCD took a 23rd minute lead after Robbie Benson latched onto a good through ball by Robbie Creevy to finish past Saints' keeper Brendan Clarke. However the Saints remained composed and turned the game around in their favour with two goals in the space of two minutes with midfielder Forrester instrumental in both goals. The 20 year old Ireland U21 International latched onto a loose ball on the edge of the box after a Jake Kelly header across goal was half cleared. Keeping his composure, Forrester dummied to shoot on his right, before seeing his left footed shot on his left see UCD keeper Mark McGinley parry the ball into his own net. The game turned in the Saints' favour in their next attack just two minutes later. Forrester again caused problems for the Students as he stormed through their defensive ranks, before slipping Flood in on goal. 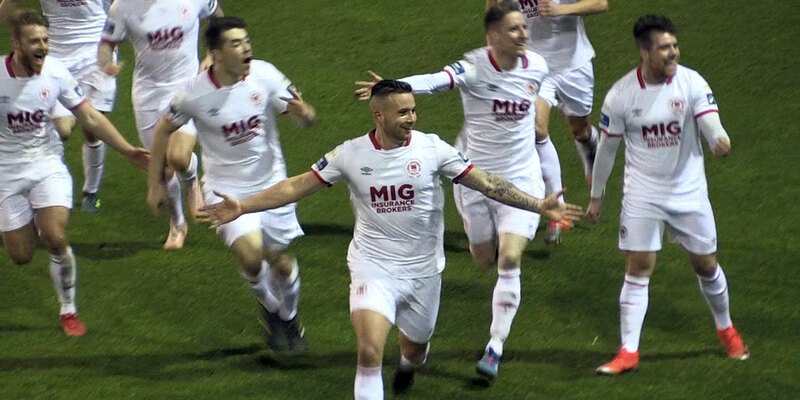 With only McGinley in the UCD goal to beat, the striker calmly passed the ball past into the net to notch his eighth league goal of the season. 10 minutes into the second half, the Saints settled the game with their third goal. Cutting in from the left wing, Jake Kelly picked up the ball 25 yards from goal and saw his well struck right footed shot beat McGinley. The Saints had further chances to extend their lead, Christy Fagan, John Russell and Kenny Browne all seeing efforts go close. UCD threatened once more through the dangerous Benson, however Clarke stood up to prevent any threat on goal with a good double save. The 3-1 win sees Liam Buckley's side extend their lead at the top of the Airtricity League to six points. St. Patrick's Athletic: Clarke; O'Brien, Kenna (c), Browne, Bermingham; Byrne, Bolger (McFaul 80), Russell, Forrester, Kelly (Fitzgerald 85); Flood (Fagan 72). Subs not used: Gilmartin, Gannon, Hughes, Price.